You may be working in a lab, individually or part of a team. You might be out in the field or in an office setting utilizing analytical and critical thinking and complex problem solving skills. Your work could span any number of paths that include positions in: scientific research & development; biotechnology; bioinformatics; research related to behavioral sciences, biological, chemical, physics, pharmaceutical, environmental, or patents; forensic science, and scientific consulting. Maureen enjoys working with students to help them connect the dots between their interests, skills, and experiences in order to search for opportunities and make meaningful career decisions. She completed her M.Ed. in College Student Services Administration from Oregon State University where she worked in academic advising and career exploration. She has experience with AmeriCorps and taught English through the Japan Exchange and Teaching Program in Hokkaido for two years. 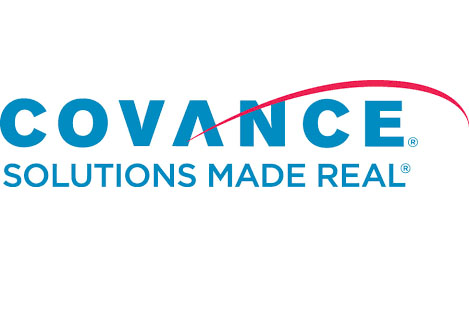 Covance, the drug development business of Laboratory Corporation of America Holdings (LabCorp), is the world’s most comprehensive drug development company, dedicated to advancing healthcare and delivering Solutions Made Real® by providing high-quality nonclinical, clinical and commercialization services to pharmaceutical and biotechnology companies to help reduce the time and costs associated with drug development. Because of their broad experience and specialized expertise, they are in a unique position to supply insights that go above and beyond testing -- They have helped pharmaceutical and biotech companies develop each of the top 50 prescription drugs in the marketplace today. From therapeutic and drug development to translational and integrated science, Wisconsin has it all. Accounting for one of the states’s largest economic drivers, biotech and biopharma continue to flourish in Wisconsin. 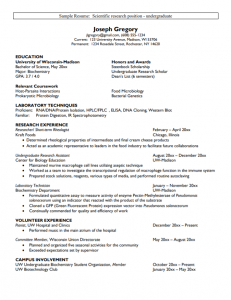 How do I find research opportunities on campus? Seminar course designed primarily for sophomores or transfer students to begin independent research in chemistry. Taken concurrently with 1-3 research credits with a faculty member. Supports independent research experience. Exploring Research in Science is an opportunity for first-year, second-year, and transfer students to gain an understanding of the science research landscape at UW-Madison, to explore ways that scientists from different disciplines approach research, and to build skills in thinking like a scientist. The course will provide guidance on finding a research mentor and will expose students to science careers. General concepts of animal biology at an introductory level. The general body plans and strategies used to accomplish the basic tasks of staying alive of 9 major animal groups are studied using preserved and live animals. The diversity within each group of animals is studied by integrating the body plans with the lifestyle and ecology of the animals. The evolutionary relationships between animals is a major part of the course. Dissections of earthworm, freshwater mussel, squid, sea star, and rat also aid the study of these general principles.